BMW has been spotted test driving the new BMW M8 out on the Nurburgring in Germany, giving us a first taste of its performance and V8 soundtrack. 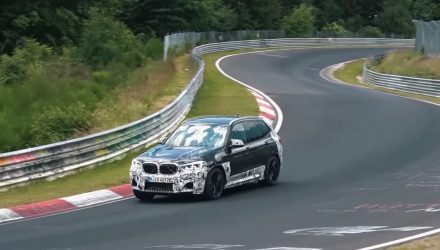 The performance model will top BMW’s M range when it arrives within the next 12 months. 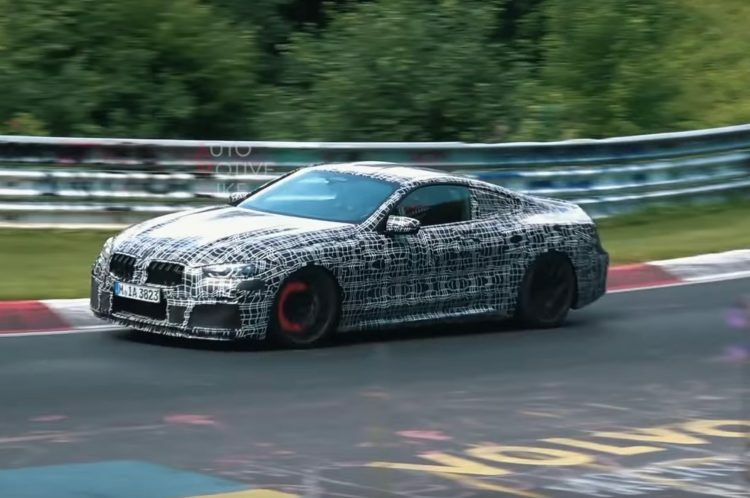 Details surrounding the engine are yet to be confirmed, but BMW has said the M8 will take the new 8 Series and give it “added track ability and generous extra portions of dynamic sharpness, precision and agility”. It is set to come in two-door coupe form, however, patent images have revealed there could be a Gran Coupe and convertible version on the way, at least in regular 8 Series form. Most experts speculate the 4.4-litre twin-turbo V8 from the latest M5 will be used for the M8. In the M5 Competition pack, outputs stand at a remarkable 460kW and 750Nm. In the M8, which could be lighter in weight compared with the M5, these figures untouched would make for an exciting machine. BMW M may even decide to turn them up a bit. Given the M850i xDrive flagship comes with a 390kW twin-turbo V8 that’s capable of 0-100km/h in a claimed 3.7 seconds, we suspect the M8 will squash this figure down nearer to the 3.0-second mark. 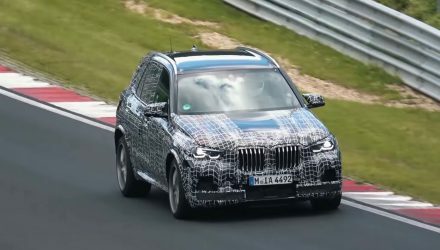 Like the M5, BMW is likely to fit its beaut new all-wheel drive system which offers the ability of switching to rear-drive mode if the driver insists. 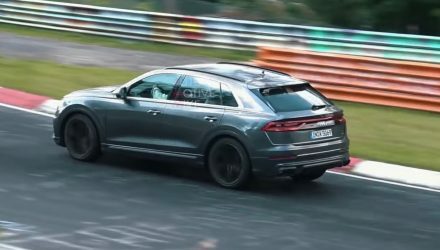 In this spy video we get to see a prototype being hurled around the ‘Ring, complete with the brakes glowing red and all. And it looks very quick indeed. 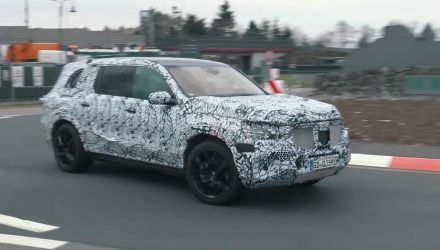 You can just make out the unique spoiler and intakes for the front end, and the wider, dished wheels, and black grilles. Expect a range of enhancements over the 8 Series, including bigger brakes, proper aero mods, bespoke suspension, and a barking exhaust system. A full debut is set to take place at the Paris motor show in October, with market arrival in 2019. Click play below for an early preview.